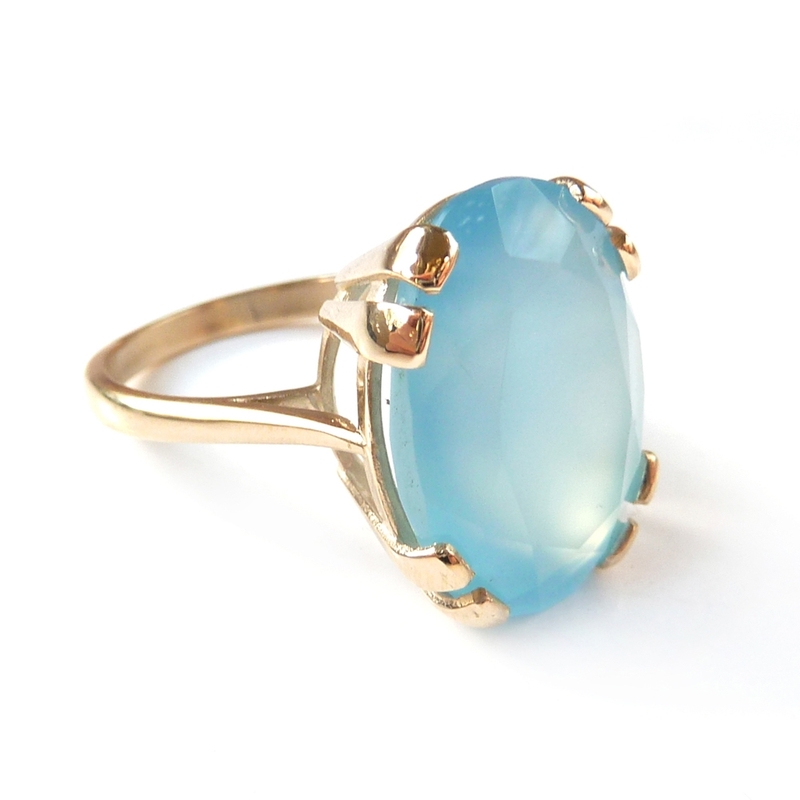 A good quality finish creates a professional, high value and irresistible piece of jewellery that really stands out from the crowd. The secret to a really high shine is all in the pre-polish. The more time and effort you put into this stage the better the results. After construction your design has been through a lot - fire scale, pickle residue, large scratches and the dreaded fire stain. The following products will help you to remove these and make the polishing stage much easier and more effective. Garryflex blocks are a rubber like material impregnated with sharp, abrasive grit. The beauty of these blocks is that they can be cut into useful shapes with a sharp knife such as wedges to get into those hard to reach places. Garryflex will help to remove fire stain and scratches - start with the coarse block (blue) through to medium (black) and then fine (brown). Each stage will reduce stain and scratches. The fine grade can be used to give a nice satin finish if you prefer this look to a high shine. 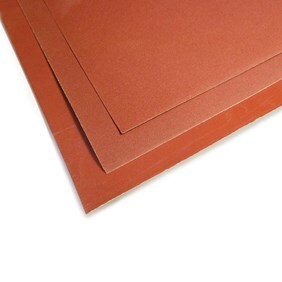 Sanding Sheets are great for cleaning metal and removing unwanted scratches and file marks in order to achieve a fine surface ready for polishing. For best results, work down through the grades from coarse (400 grit) to fine (1200 grit). 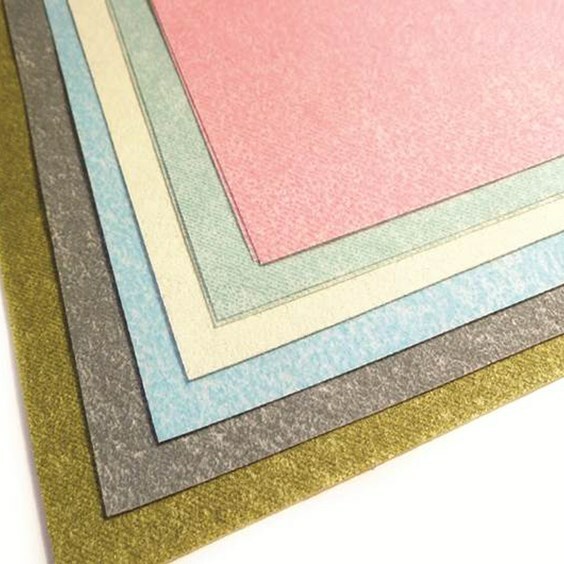 As they are flexible sheets you can fold them around things, such as your thumb or a round piece of metal to get into different shaped places. 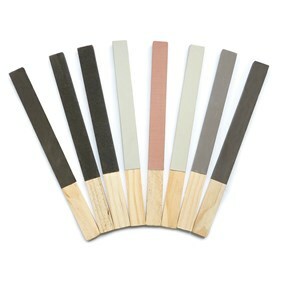 Alternatively this set of 8 Sanding & Polishing Sticks are so easy to use. 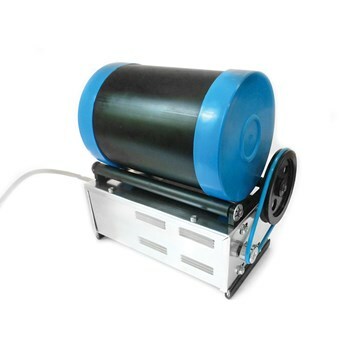 The wooden base provides a hard surface which is great for applying a good amount of pressure. Working from coarse (for sanding) down to very fine (for buffing and pre-polishing). Give worn sticks a new lease of life by re-wrapping with sanding sheets or polishing papers. 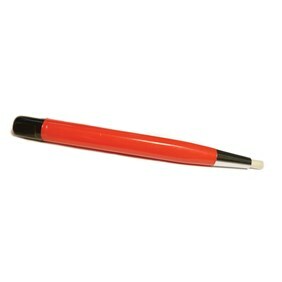 This glass fibre scratch brush is great for scratching off unwanted solder, fire stain and areas of unwanted patina - particularly where there is a texture or recesses. It is also great for cleaning grease and dirt from pieces prior to soldering. A well polished, good finish can be achieved either by hand or with a Dremel (or similar). A Dremel will speed things up and make things a little easier. However, doing things by hand can give you more control, precision and convenience. Often a combination of the two is best! 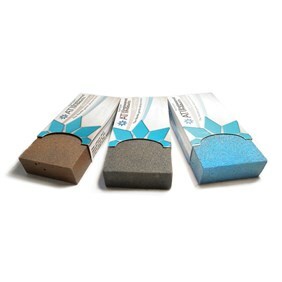 These polishing papers are excellent for gaining a high sheen on metals if you don't have power tools for polishing. Use after sanding and simply work your way up through the coloured grades. Change the direction you are working in after each grade and sanding marks will get smaller until they completely disappear. The cylinder shape of these polishers are great for polishing large flat areas of metal as well the inside of rings. The top edges can be used for getting into hard to reach areas and they can also be cut or ground into points or other useful shapes depending on your project. This pack contains as extra coarse (white) cylinders as these wear away quicker. The extra-fine pink cylinder really does give an amazing shine to metal. A Dremel Multi Chuck will be needed to attach these polishers - this is a great products that makes it really quick and easy to change between Dremel accessories. Cylinder silicon polishers are available to buy separately here. Also available are our wheel and knife edge wheels shape polishers which are great for getting into awkward shapes for example where a bezel has been soldered onto a ring. An amazing machine - especially for jewellers with a lot of pieces to polish. The barrelling machine saves so much time compared to polishing by hand. Tumble polishers (also known as barrel or rotary polishers) work by `tumbling` stainless steel shot around in a spinning barrel which impacts on the jewellery acting like thousands of tiny hammers burnishing the surface of the metal, polishing it to a super, super shiny finish! Polishing mops, wheels & points are another great addition to a Dremel tool. 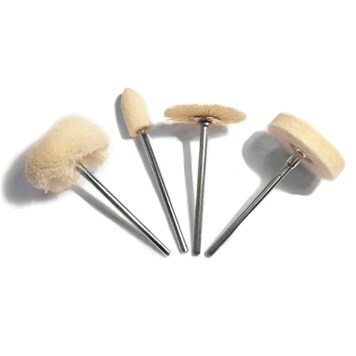 Great for quickly polishing jewellery and really useful for getting into those hard to reach places. Use these with our polishing compounds tripoli and rouge. 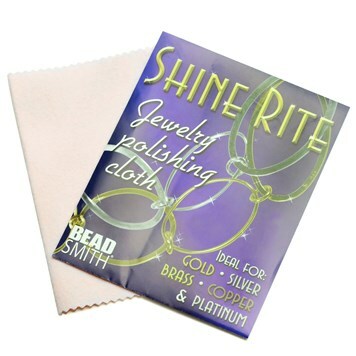 A must have for all jewellery makers or jewellery owners; simply buff the metal surface with the cloth and bring back the sparkle! No extra polishing compound is necessary as the cloth is impregnated using micro-abrasive technology. Great for getting rid of tarnish and giving your jewellery a quick polish before wearing or selling to ensure it is always sparkling and looking its best. Don't forget to protect those fingers! 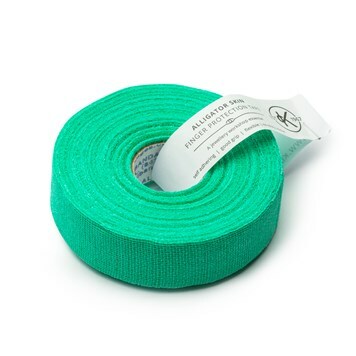 Alligator tape is a clever self-adhering fabric tape which will protect your fingers from minor cuts, abrasions and burns. The clever part is that it only sticks to itself so it leaves no sticky residue. 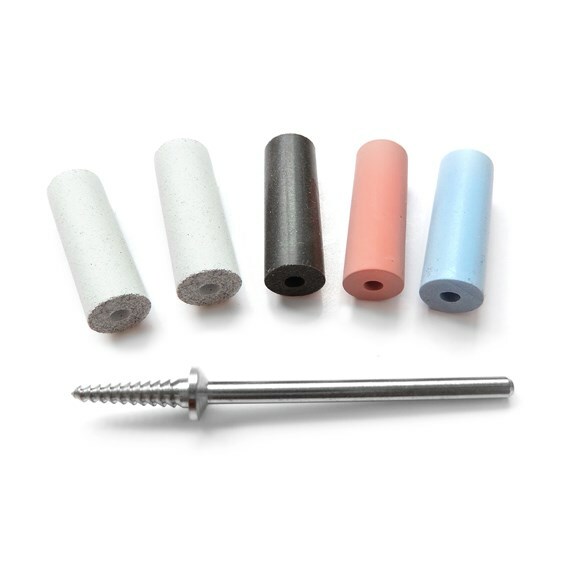 The tape is thin and flexible and it provides great grip when filing, sanding, polishing, buffing, grinding, assembling and stone setting. To view all of these products and more, visit our Sanding, Polishing and Cleaning Supplies category on our website! If you have any further questions, feel free to call our friendly team who will be more than happy to give you some advice through Facebook, Twitter, Email or simply calling us on 01872 573888 8.30am-4.30pm. 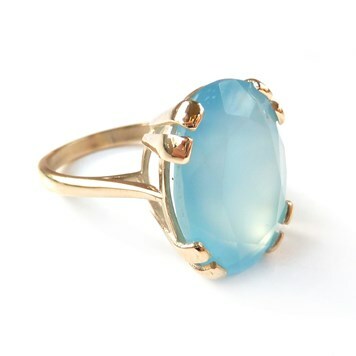 Alternatively, for more information and how to's on all areas of jewellery making visit our other Gemstone Setting Advice pages.